The Big Sing (TBS) is a highly successful, national group-singing competition for secondary school students. 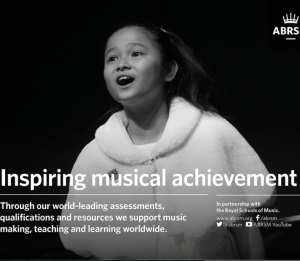 Secondary Schools' Choral Festivals began in 1988 as a development of the vocal section of the Westpac Schools' Chamber Music Contest. From being a very small part of that contest, The Big Sing has grown into New Zealand’s largest choral event and is a major highlight of the secondary school music calendar. Each year, close to 10,000 young people from over 250 schools take part in regional festivals nationwide, and the number continues to grow. This makes TBS one of the largest competitive events in the country. Regional festivals take place over a period of 1-4 days in 10 centres during May/June. The choirs are required to present varied 10-minute programmes, including at least one New Zealand composition, and showcase their favourite items in a gala concert on the final night. New in 2019, Cadenza will take place over two days in three centres, and will blend a formal, adjudicated competition with combined-choir reading and learning sessions, finishing with a gala concert and awards. Cadenza festivals will rotate around smaller regional centres and in 2019 will be held in Timaru (16-17 August), Whanganui (19-20 August) and Rotorua (24-25 August). The 2019 TBS Finale will be held in the Dunedin Town Hall from 29-31 August 2019 and involves a total of 24 choirs selected from the regions – around 900 students with their directors and supporters. Each day there are expected to be around 1000 in the audience, with a capacity Gala concert of up to 2000. As part of the festival, NZCF and SOUNZ (the Centre for New Zealand Music) also run a choral composition competition. The NZCF Association of Choral Directors (ACD) have a professional development programme, Fine Tuning, for conductors and choirs entering The Big Sing. More details here. 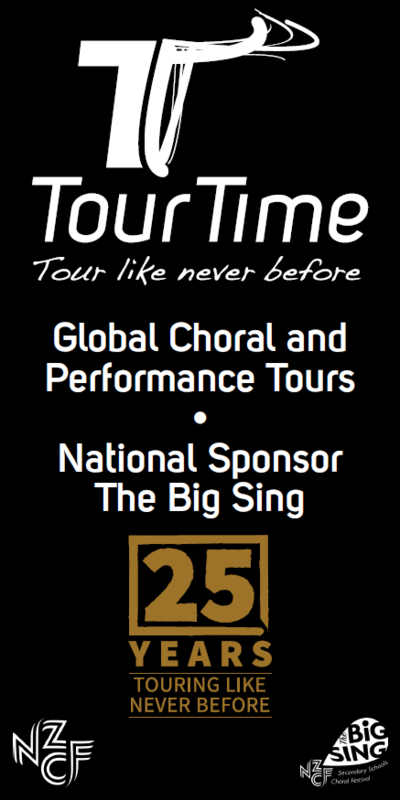 The Big Sing is sponsored by Tour Time, our primary funder Creative New Zealand and the Ministry of Youth Development.